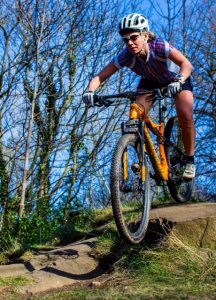 Home » MTB Training » Whats it like having a cycling coach? Whats it like having a cycling coach? Here is the first of two articles we will be publishing from riders that are coached by E3 coaching so you can get a better understanding of what its like and if its something for you! If indecision were a sport, I’d be an Olympic medalist. Faced with too much choice I’m like a rabbit in headlights, and the information I’d gathered on what to do to get faster and stronger on a bike had become such a massive list of workout types and advice that I was lost. I needed help. I’m pretty new to endurance racing, in fact to racing in general, and everything I’d done to date I’d been making up as I went along. I’d been following Matt Jones of UK and European 24 hour mtb championship fame on Instagram and he mentioned his coach and how much he’d valued his advice over the year. Penny drops. When the task at hand is beyond your capabilities, employ an expert. And so that’s what I did. Step up Jon from http://E3Coach.com. One brief chat on messenger and a delightful call later and I was ‘with coach’. Instantly I felt this huge wave of relief. Not only did I not have to worry about what training session I was going to do when, but I also no longer needed to worry about whether they were the RIGHT sessions. With Jon’s pedigree I could just do as I was told and know that the expert would keep me right. No infinite choice, no indecision, just one plan and a drive to follow it. So now, each Sunday we talk about how my week has gone and I learn what treats are in store for me the coming week, tailored around my feedback and availability. And this personalised touch is so important. You see, in order for me to invest in something I like to know that it’s going to work. And work for ME. Not some off-the-shelf, one-size-fits-all plan, but a plan that is carefully considered and built to fit my time and needs. If I’ve got my kids I need workouts on the turbo. If I’ve got a free weekend I like to be out as much as possible. Work, strengths and weaknesses, goals; everything is considered and built into a personalised plan for me. And I can get behind that completely. Now, while getting a coach may be the best thing that I’ve done for my training, there’s still one key ingredient that only you can provide. Having a coach doesn’t make you better. LISTENING to him (or her) does. You can be given plans all you like, but if you don’t listen to them and follow the advice they’re not worth the metaphorical paper they’re written on. And so here’s my advice… if you’re thinking about getting a coach it’s almost certainly the right thing to do. And if you do it, then make the most of it. Follow the plan, take the advice, work with your coach and you’ll see results. You’re paying for their expertise after all!